Hot, sunny days require sunscreen and suntan lotion. While most people use these products to help protect their skin from the sun, others use them to enhance their skin tone. 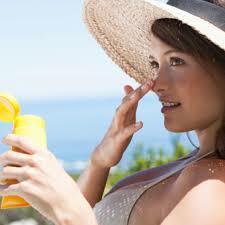 Unfortunately, the components found in most sunscreens and suntan lotions can cause stains to fabrics. Most of these skin care products contain oils to make them moisture-resistant. They may also contain dyes to give them a certain color or to allow the skin to darken. Initially, stains caused by these products may be invisible, but age and/or the heating of cleaning may cause them to become more apparent. How do you prevent stains from sunscreen? To prevent these stains, follow the directions provided by the manufacturer. The general rule of thumb is to allow the preparation to dry before it contacts a garment. Also wash your hands before handling garments to avoid possible staining. However, it is important to note that despite these precautions, some residue may still transfer to clothing through perspiration. Can these stains be treated? 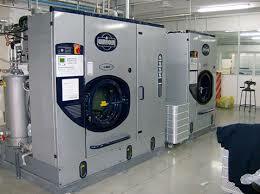 At Marky’s Dry Cleaners we do our dry cleaning and laundry on site. This gives you access to professional dry cleaning management and 60+ years in combined dry cleaning experience. Dress shirts sent for professional cleaning are typically water-washed with soap, starched, and then pressed on a 3-part (collar/cuffs, sleeves and body) shirt steam/pressing machine. Shirt buttons can break while cleaning, when pressing, or just when trying to button your dress shirt. While not a catastrophic event, it can be bothersome if you happen to be on a business trip and your important meeting is in an hour. So, what to do? Here are a few things you can try both before and after your button’s gone missing at the cleaners. There’s a possibility the button was missing before you dropped your shirts and blouses off at the dry cleaner. Take a quick look at your garments before leaving them at the cleaners and point this out to the attendant when dropping the off. If you can’t remember to do this, place a safety pin where the button belongs and that should get the dry cleaner’s attention. Top-notch dry cleaning services (including Marky’s Cleaners here in the Denton, Texas area) will make the time to check for missing buttons before and after the dry cleaning process is completed, so only take your clothing to a reputable location. Though even the best service will occasionally miss one, you should use someone who makes the effort and replaces the missing buttons before returning the garment to you. You can request that your cotton and cotton-blend shirts and blouses be dry cleaned rather than laundered. This leaves a softer feel on your shirts and blouses and is especially appropriate for delicate items. Shirt creases are not as sharp. Expect to pay more for this option, as it requires more labor. It’s possible the buttons come off because the thread is loose. Try sewing your buttons back on with professional grade thread or even dental floss, which is incredibly strong. But make sure the thread color used is the same as for the rest of the buttons.As for that button you need replaced for the meeting? Check the inside of the garment to make sure there isn’t a spare, usually on a side seam near the bottom of the shirt. Use your travel sewing kit or ask for one at the front desk. Those little kits usually include one or two buttons that will do in a pinch, and most people will not notice your buttons don’t match. You can also try taking a button from the part of the shirt that gets tucked in and move it to the visible location.A good dry cleaning service will often replace your shirt buttons free of charge as part of their services. Some dry cleaners will even give you a discount on future dry cleaning services if you have to return for button replacement. Don’t be afraid to ask – reputable dry cleaners want to earn your trust and keep your business. The way you dress does matter. In fact, by most accounts, it matters a lot. Just behind communication and presentation skills, how someone is dressed was the most important attribute in getting and keeping a job, according to a study by Total Executive, Inc. and Syracuse University. Sure, you may be able to wash your casual clothing at home, but time spent doing that along with the most hated household chore — ironing—only takes away time from family and other pursuits. We have the skills to make your clothes look and feel their best by creating a crispness that simply cannot be duplicated with home care. No matter what the surroundings and circumstances, you never get a second chance to make a good first impression. Stains and soil left too long can be impossible to remove. Studies by the Drycleaning & Laundry Institute show that after aging for only one week, 20% of stains cannot be removed satisfactorily. After three weeks, this increases to 47%. If staining occurs, bring it to us as soon as possible. Don’t press stained or soiled clothes. Heat is another factor that makes stains more difficult to remove. Please point out spills such as those from white wine, fruit juices, or soft drinks, or other stains that may not be visible, when you bring in your cleaning. These invisible stains require special attention by us in order to prevent them from permanently discoloring your item. Perspiration can cause dyes in fabrics to change color so, if possible, protect your garments from excessive contact with perspiration. Always allow lotions, antiperspirants, perfume, and other toiletries to dry before you get dressed. These products can contain ingredients that cause color loss or color changes in your garments. Protect your garments from prolonged exposure to direct sunlight or strong artificial lights. This too can affect the color in your items. Before putting clothes away for storage, have them cleaned to remove stains first. This prevents insects from causing holes in the fabric, and stains from ageing and discoloring. Clean all matching pieces together. Whether your work surroundings call for appropriate casual or traditional attire, we know that how you look does matter. That’s one of the reasons we work hard for you and all that you wear.